I’m sure that when the Romans packed sprigs of lavender (their favourite deodorant) into their toiletry bags before they crossed stormy seas to invade Britain, they wouldn’t have imagined that, centuries later, it would be one of our best-loved garden plants. Lavender plants come in shades of pink, white and purple with silvery evergreen foliage. In modern gardens, consider planting them in geometric-shaped blocks, while traditional settings could add low box hedges. Its silver-grey foliage complements any type of flower and especially those in shades of pastel pink, blue and white. The purple-blue flowered varieties are also a great bedfellow for bright red, yellow and orange blooms. You can grow lavender on the most inhospitable, dry, stony south-facing slope, in tubs on a sunny patio and make it the star performer of a seaside or Mediterranean-style scheme. To keep plants in good order, lavender should be given a light trim after flowering to prevent the plants getting leggy and bare at the base. Pruning can also be done in early spring before new growth appears. To make more plants, in summer, propagate stem cuttings that are pliable, but will snap if bent. Roots should form in three to six weeks, after which the cuttings can be potted, then transplanted into the garden. On hot summer days, the sun-baked leaves and spiky flowers emit their heady fragrance. To get a whiff, whatever the weather, line it up along the edge of a path or plant carpets of it by your favourite garden seat so scent is released when you brush by. A magnet to butterflies and bees, site it close to plants that need pollinating, such as fruit and veg and those grown for their ornamental seed heads, and you’ll see a big boost in productivity. Make use of lavender as a fly repellent, too, by positioning a few potted plants around sitting areas, and to keep pesky bugs at bay while dining al fresco, crush a few leaves on to your arms. Inside the house, you can hang some dried lavender to discourage moths and flies. For a taste as delicious as its scent, to cook with lavender, you must plant the sweetest varieties, like ‘Hidcote’ and ‘Munstead’. Use them to flavour biscuits, scones and cakes, and to make a calming and refreshing tea. Growing lavender – which is for you? 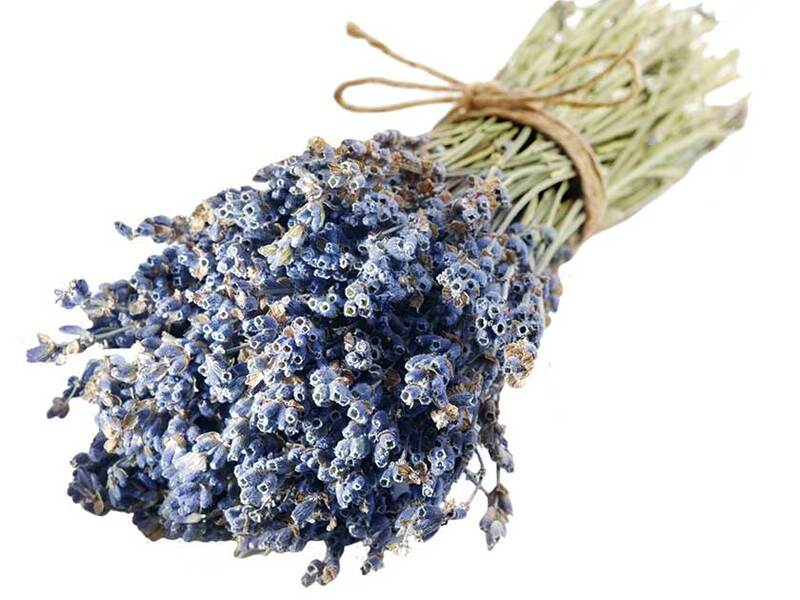 One of the most popular, but not so hardy in this country, is the French lavender, Lavandula stoecha. It has a tuft of purple ear-like bracts above purple flowers with camphor-pine overtones that persist after the flowers have faded in early summer. Grow this one in pots so that they can be brought indoors for the winter. 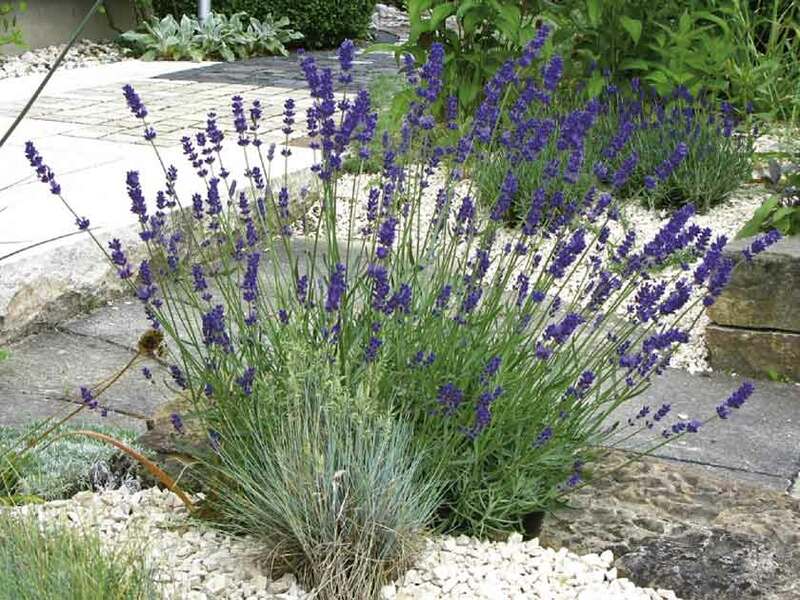 Dutch lavender (Lavandula x intermedia) makes a compact shrub of 45 x 75cm, ideal for the front of mixed borders. The variety ‘Vera’ is highly scented, making it very much prized by perfumiers. It is also useful as a dwarf hedge to mark the boundary between adjoining homes with open-plan front gardens. English lavender (Lavandula angustifolia) is the hardiest type and prized for its pale greyish-blue flowers. The best-loved variety is ‘Hidcote’, which is a compact plant with violet-blue flowers in midsummer and fragrant silvery-green foliage, reaching up to 60cm in height. If you have a taste for the unusual, grow Lavandula dentata, which is easily identified by the leaves that have deep ‘teeth’ up their entire length. As it is sensitive to frost, grow it as summer bedding, planting it out at the end of May. If you don’t have soil that is well drained, gritty or sandy, then growing in containers or raised beds might work best. And if you can shelter the plant for the winter, try growing it as a lollipop standard in a pot on a sunny patio. ‘Twickel Purple’ makes a more rounded ‘bun’ shape and has comparatively broad, grey-green leaves and purple flowers on long spikes. For something different, try the pink form ‘Hidcote Pink’ and pure white ‘Alba’, which also comes in a dwarf form called ‘Nan Alba’ that is just 15cm tall. While ‘Munstead’ is compact, it’s slightly rangier, with a spread of 60cm, with strongly fragrant, deep blue blooms that appear in prolific quantity, making it useful for cutting and drying. It’s essential that you cut the stems as soon as the flowers are opening and begin to show colour, and hang them upside down in a cool, airy place. The leaves can be dried, too, but they are not as fragrant. If you pick a day when you’re feeling especially stressed to strip the dried blooms from the stalk, you’ll kill two birds with one stone – its fragrance has the peculiar power to ease the mind and relieve tiredness. 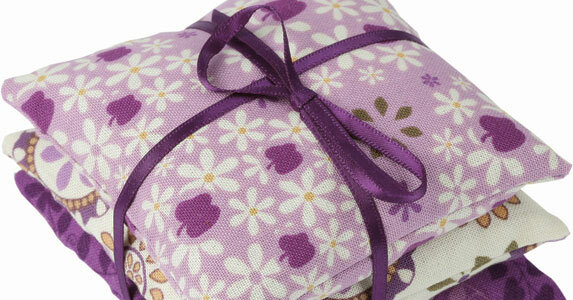 Pop the dried flowers into muslin bags, cushions and pot pourri to enjoy its quite magical properties any time, anywhere.